Betrue Sporting Goods has great production capability and excellent technology. We also have comprehensive production and quality inspection equipment. 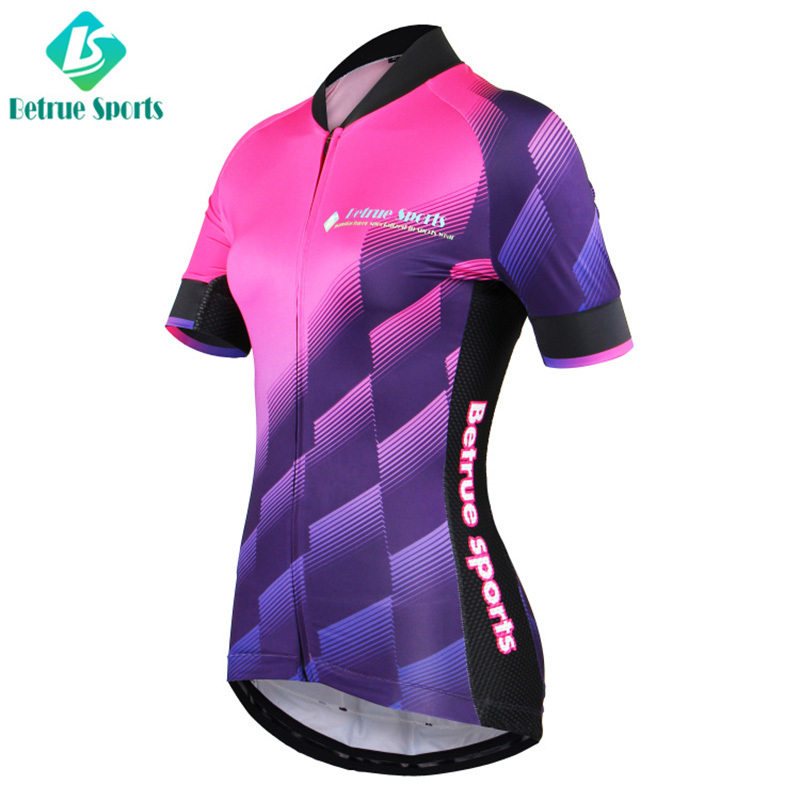 custom cycling jersey has fine workmanship, high quality, reasonable price, good appearance, and great practicality.Our oem sportswear are made of excellent materials in accordance with strict standards. They are of good quality, firm structure and solid color. 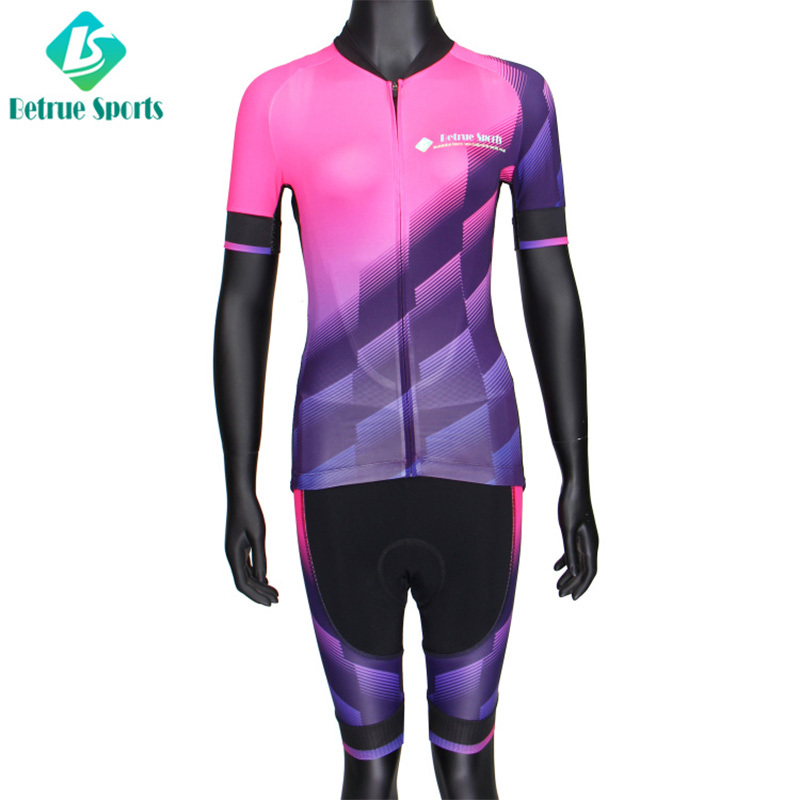 Moreover, they will not fade and deform after repeated washings.Compared with similar products on the market, the custom cycling jersey of Betrue Sporting Goods has the following advantages. Betrue Sporting Goods's cycling bib shorts can be used in a variety of industries.Guided by the actual needs of customers, Betrue Sporting Goods provides comprehensive, perfect and quality solutions based on the benefit of customers.Betrue Sporting Goods takes contemporary art as the means of expression and emphasizes the concept of freedom, growth and happiness in fashion design. Combined with the current fashion culture elements, we actively encourage consumers to look for free, happy and true expression and communication in the pressure of life. In this way, consumers can release more their true nature and experience the beauty of life. 1. Guangzhou Betrue Sporting Goods Co.,Ltd. is a dynamic and enthusiastic manufacturer focused on womens cycling jersey sale. 2. In personnel training, Guangzhou Betrue Sporting Goods Co.,Ltd. has plenty of technology-oriented R&D team for custom cycling jersey.